The Reader Bee: My September 2017 TBR & Most Anticipated Releases!! My September 2017 TBR & Most Anticipated Releases!! Can you believe it's September already? We only have FOUR more months left in this year! That is kind of insane. 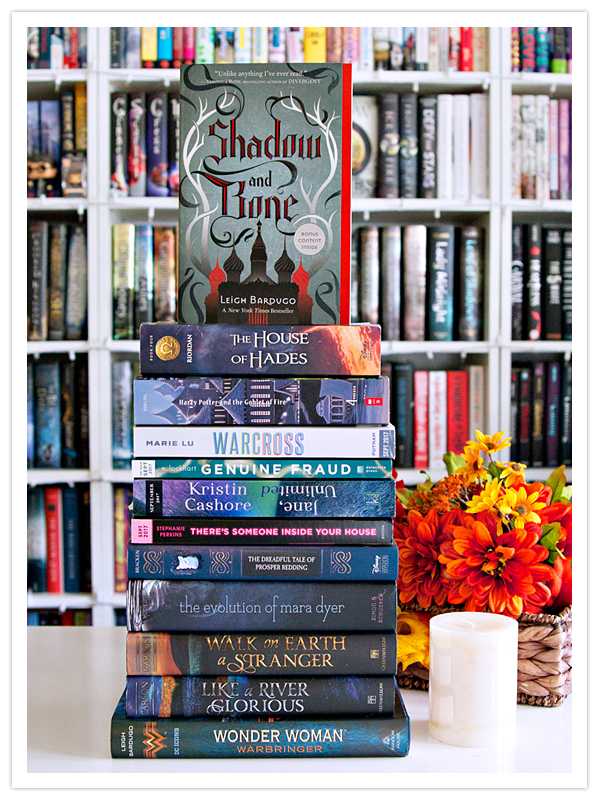 So in case you didn't notice by the photo above, I have a pretty massive TBR this month. but there are SO many books that I want to read & reread this month. So I am going to try to get in as many as I can! The Evolution of Mara Dyer by Michelle Hodkin. The House of Hades by Rick Riordan. I'm super excited to get started on all of these! to refresh my brain before Into the Bright Unknown is released in October! 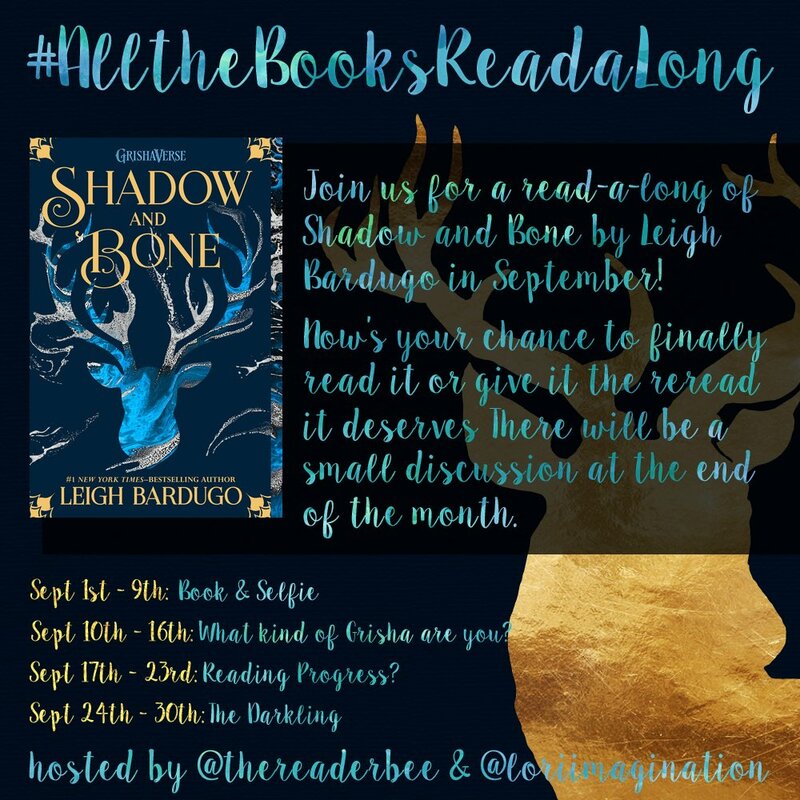 the new Monthly Readalong Feature that Lori and I are hosting on Instagram. 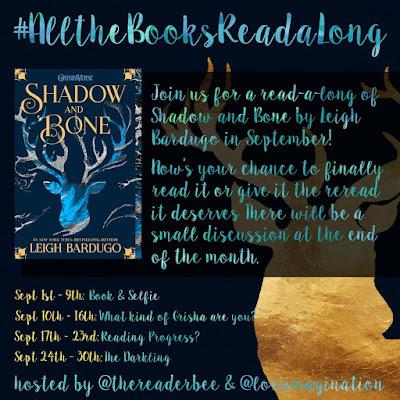 Check out #AlltheBooksReadalong if you're interested in reading along with us! but I'm not going to overwhelm you with those. and I'm super excited for them to arrive!! If you've made it this far, you're awesome!! Is September going to be a great month for books, or what?? Now, tell me... What's on YOUR TBR for September?? I love Walk on Earth, but still need to continue that series. I read One Dark Throne last week, and it was excellent. Blake did a lot of interesting things to move the story along, and I really liked how she was incorporating the supporting characters.